JCPenney is one of America's largest department store, catalog, and e-commerce retailers, employing approximately 150,000 associates. Interestingly, JCPenney was first know as 'The Golden Rule' store and was started in Kemmerer, Wyoming, in 1902 by James Cash Penney. By 1922, the company had expanded to 371 stores located in 27 different states. Their JCPenney catalog was first introduced in 1963 and has been a fixture on coffee tables ever since. I have fond childhood memories of thumbing through the toy section of the catalog before Christmas and making my list for Santa. With close to 5 million likes, the JCPenney Facebook page is a "must-like" if you want to know when their next sales event is going to be, and what hot new seasonal products they'll be unveiling. Throw in coupons for both in-store and online use, and it's a great resource for JCP lovers. The JCP Twitter feed is a cool source for home design inspiration as they post some great pictures of their products being used in homes across the country. They also tweet new product information, upcoming sales events, and the occasional Twitter exclusive JCPenney coupon to help you save a little extra. When shopping in-store, be aware that JCPenney has a price-match policy which enables you to get a lower price if the item is sold by a local competitor for less, and the item is identical. While they don't have a list of the stores they price-match, they do say on their site that "a similar local competitor refers to a brick and mortar retail store located in the same market area or within a reasonable distance of a jcp store." Simply show evidence of the lower advertised price to any JCP team member when checking out and they'll verify the price-match before giving you the lower price. Also, be aware that you cannot use a JCPenney coupon in addition to getting a price-match. After you have finished your online shopping on their site, and have all the items you'd like to purchase in your virtual shopping bag, you'll need to enter your JCPenney coupon code into the appropriate box when checking out. 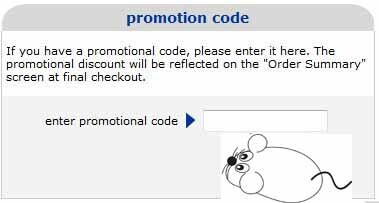 In particular, on the "My Bag" page, look for the box labelled "Enter Promo Code" and simply enter your coupon code followed by clicking the "Apply" button. Before entering your credit card information and completing your online purchase, always verify that your JCPenney coupon was received properly and your new order total is correct. Here is what the 'Promotion Code' box looks like on JCPenney.com. Enter your code and verify that your coupon savings is reflected in your new purchase total.